UK carrier O2 announced on Monday that it has struck a deal with mobile navigation specialist Telmap which will see that firm’s personal navigation and mapping service deployed on the majority of GPS-enabled handsets sold by the operator. Telefonica-owned O2 will provide the first level customer and billing support for the service, which will be available to customers on a free two-week trial. The carrier said that subscription charges, which start at £3.50/month, will be integrated onto customer bills. The first new handsets with the functionality embedded will be available in the autumn of this year, and customers who already own compatible phones will be able to download the application. Navigation has become the saviour of the previously directionless mobile location market, with handset-based solutions taking on established PND (personal navigation device) products from the likes of Garmin and TomTom. While the existing specialist players have a secure market position for in-car use, they concede that for pedestrian services, the mobile phone is the best solution. “The moment people get out of the car and still want guidance, the weight of average shifts in favour of having the application on the phone,” Mark Gretton, director of engineering at TomTom told Telecoms.com towards the end of 2008. The Telmap/O2 deal will see features for both in-car and pedestrian usage, O2 said. As the mobile industry pushes into the navigation space, the PND providers are increasingly looking to connected navigation as a future revenue stream. TomTom has said that it aims for connected devices (sold with a SIM) to account for half of all sales by the end of this year. On Monday’s announcement, Nissim added: “This is a very important agreement for Telmap and… we believe this collaboration will allow us to deliver the best in class solution to O2 customers and for O2 to create a winning location strategy in the marketplace”. O2 said that the UK deal will serve as a stepping stone to deployment throughout the Telefonica footprint. The Spanish incumbent is the fourth largest mobile operator in the world, with 168.8 million customers across Europe and Latin America at the end of June, according to Informa Telecoms & Media’s World Cellualr Investors Service. 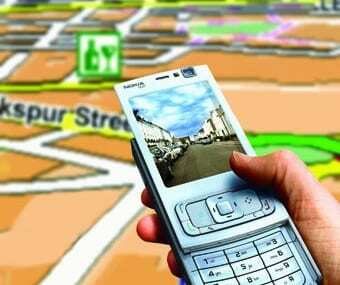 Sales of GPS-enabled phones are on the increase, with analyst firm ABI Research predicting sales of 240 million units for 2009, an increase of 6.4 per cent over 2008.